President Donald Trump has picked former CIA Director Mike Pompeo to replace Secretary of State Rex Tillerson. The nation's prospective top diplomat may not be a household name for most investors, so here’s a rundown of his background. Pompeo is a California native with a degree from Harvard Law and a ranking of captain in the U.S. Army. In 1998, Pompeo and three of his West Point classmates acquired three aircraft parts makers and combined them to form Thayer Aerospace. In 2006, Pompeo sold his stake in Thayer to Highland Capital Management. Thayer’s client list reportedly included Lockheed Martin Corporation, General Dynamics Corporation, Boeing Co and Raytheon Company. Pompeo was elected to the U.S. House of Representatives to represent Kansas in 2010. Pompeo was a member of the right-wing tea party and has been criticized for expressing anti-Muslim sentiment during his time in office. Pompeo has limited direct foreign policy experience. During his time in the service, Pompeo served in Europe prior to the fall of the Berlin Wall. He also served in the Gulf War. While in Congress, Pompeo served on several committees and subcommittees, including the United States House Permanent Select Committee on Intelligence, United States House Committee on Energy and Commerce, United States House Intelligence Subcommittee on the CIA and the United States House Select Committee on Benghazi. 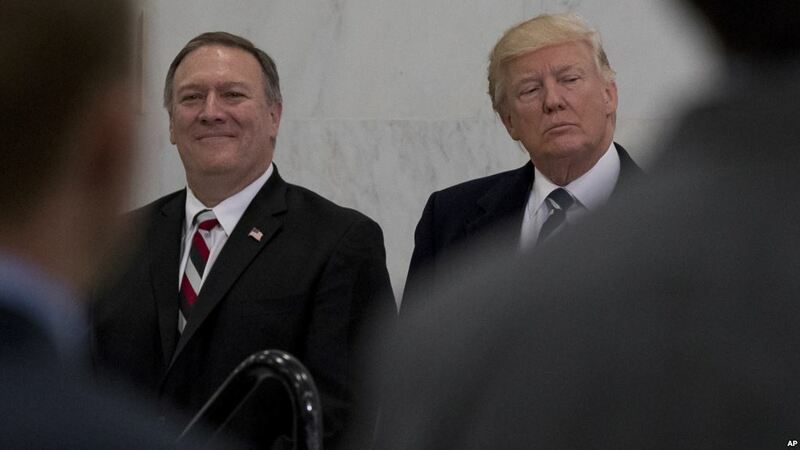 In November 2016, Trump named Pompeo as the new head of the CIA. Pompeo has since traveled to Turkey and Saudi Arabia on policy missions. In August 2017, Pompeo took over command of the Counterintelligence Mission Center, which raised eyebrows among numerous CIA officials. The Counterintelligence Mission Center helped launch the investigation into links between the Trump campaign and Russia, and CIA members expressed concerns that Pompeo would squash the investigation due to his political ties to Trump. Throughout his career, Pompeo has weighed in on a number of issues that could be important to investors. Pompeo is also an opponent of the Affordable Care Act and a lifelong member of the National Rifle Association. Investors seem to be mostly indifferent to the revolving door of White House personnel as of late. Since Gary Cohn announced he was leaving as Trump’s top economic adviser on March 6, the SPDR S&P 500 ETF Trust is up 0.6%.